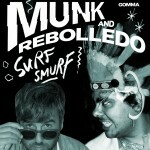 Although there’s obviously a genuinely funny sense of humour to Munk’s output, which is arguably more evident than ever on this collaboration with Pachanga Boys’ Rebolledo, his music is definitely not a joke. Remarkable in the fact it somehow manages to avoid ever being serious, or becoming a gimmick, if it were anyone else and you told us ‘the tune is kind of like jive-meets-Mr Scruff we would probably tell you to jog on. But that’s probably the most accurate description we can come up with for the aptly titled Surf Smurf. Or at least it is in so far as Munk’s version. The whole thing swings to a groove that’s probably most in time with the 1950s, complete with surf-rock style guitar licks, developing a rockabilly groove that Andrew Weatherall probably wouldn’t say no to. 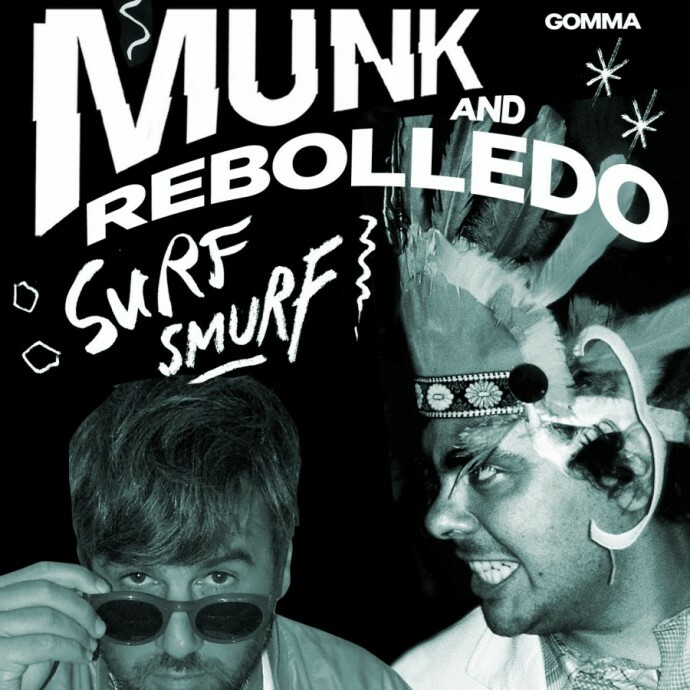 On the flip Rebolledo takes the track down a very different route, increasing the intensity and span of the low end so that it’s still possible to hear the first version somewhere in there, but this time everything’s murkier, tenser and a whole lot darker. Building and brooding, almost sinister but still resoundingly funky house music that could well be more bizarre than its compatriot on the record’s other side, whilst for the most part it nods to names such as Tyrant and The Mole in muscular mode, on one occasion the twangy six strings emerge from the dirty depths of the distorted, bass-heavy soundscape beneath and the contrast is profound, but nevertheless pleasing to the ear. Definitely unique, but immediately compelling rather than too-strange-to-fit, we like this a lot.